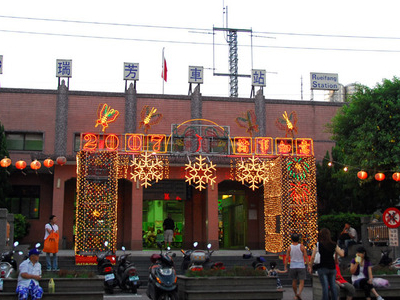 Ruifang Station (Chinese: 瑞芳車站; Hanyu Pinyin: Ruìfāng Chēzhàn; Tongyong Pinyin: Ruèifang Chejhàn) is a railway station on the Taiwan Railway Administration (TRA) Yilan Line and the Shen-ao Line. It is located in Ruifang District, New Taipei, Taiwan. The station was opened on 5 May 1919. There are two island platforms and one side platform. Here's the our members favorite photos of "Railway Stations near Ruifang District". Upload your photo of Ruifang Station!